Here comes the gun, from Dr Krippling, and we are keen to show you - one lovely, lovely strain here. 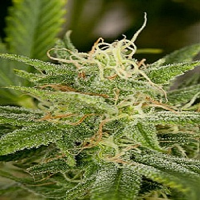 Smokin' Gun Auto Feminized Marijuana Seeds by Dr Krippling Seeds: Here comes the gun, from Dr Krippling, and we are keen to show you - one lovely, lovely strain here. Smokin' Gun is an Auto AK47 variety, which is a simple must have for the serious souvenir collectors. 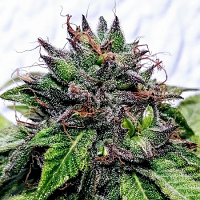 Drop-dead gorgeous buds - break neck speed in growth - and one hit from a Smokin' Gun will make one feel.....not so much shot down, but shutdown.... so ensure you have time for a quick power nap.